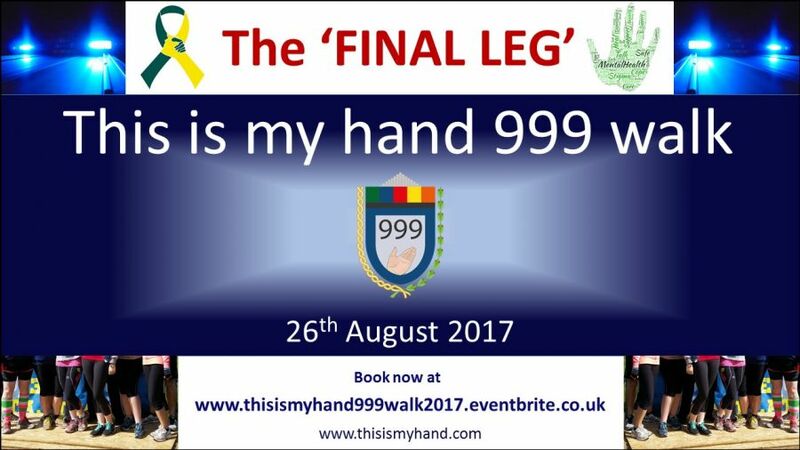 Join us for the 'Final Leg' of our 'This is my hand 999 walk 2017' on the 26th of August. 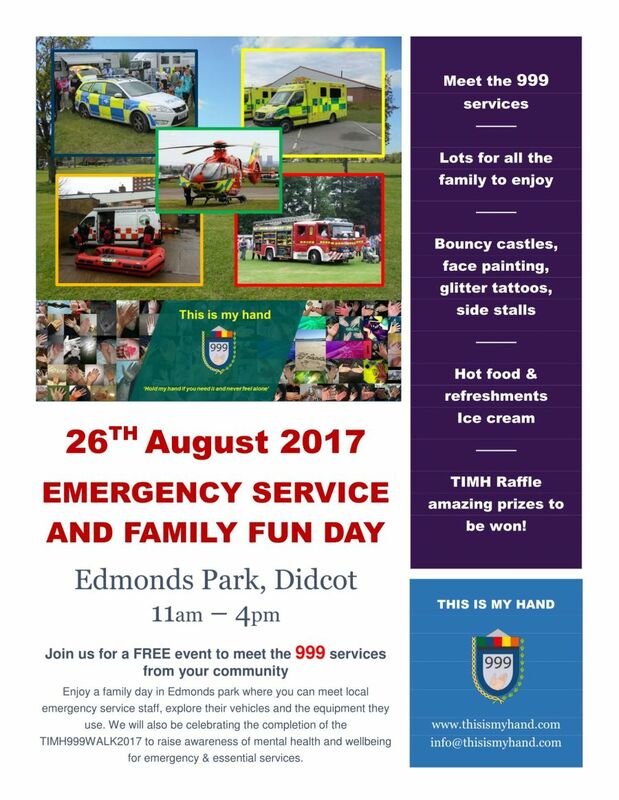 We have organised a 12 mile charity walk from Radley to Didcot, finishing at Edmonds park with a Emergency service and family fun day. The walk is to raise awareness of mental health and wellbeing for Emergency & Essential service workers. We will be raising vital funds for the Mind Blue light programme, the Samaritans and This is my hand projects. 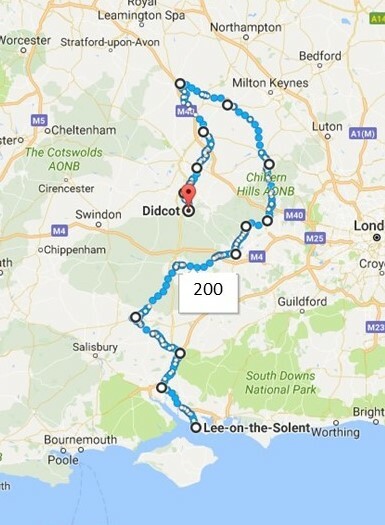 On the 21st of August 2017, five of us will set out on a 200 mile walk from Lee-on-Solent through Hampshire, Berkshire, Buckinghamshire and Oxfordshire culminating in the 'Final Leg' which will take place on the 26th of August, where we invite you to join us for the last 12 miles of the journey. Our aim is to raise awareness of mental health & wellbeing for emergency and essential service workers on our way. We will be raising funds for the Blue Light Programme, The Samaritans and future This is my hand projects. Meet the emergency services from your community, explore their vehicles and learn about the equipment they use. Childrens activities, hot food and refershments, TIMH Raffle with amazing prizes.